only the pic, to remember them by... Don't ask! I don't own these anymore! pretty quick! Even I, want to cry sometimes, when I look at this page! 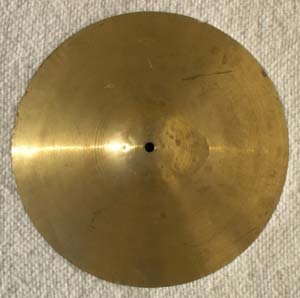 1930's Alejian, 14" thin crash cymbal. late 1960's Apollo, chrome, steel shells, 8x12",14x14",14x20" set. 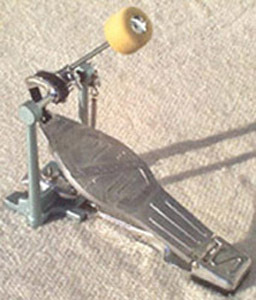 2002 Axis, Longboard, double bass drum pedal. early 1960's Camco, floor tom legs. 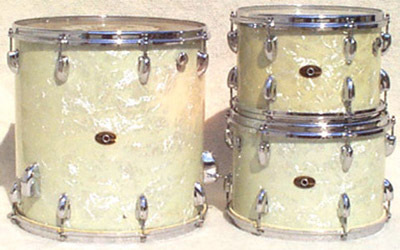 mid 1960's Camco, green sparkle, maple shell, 8 lug, 5x14" snare. mid 1960's Camco, Tuxedo, red satin flame, maple shell, 8 lug, 5x14" snare. 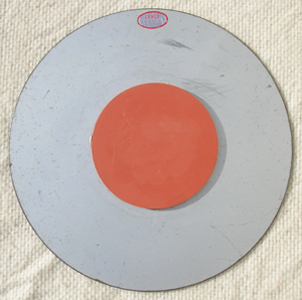 mid 1960's Camco, snare drum pad. early 1970's Camco, Aristocrat, mahogany, maple shell, 10 lug, 5x14" snare. 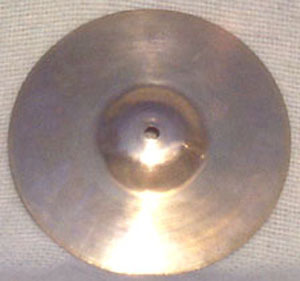 1940's Conn, 6" heavy splash cymbal. 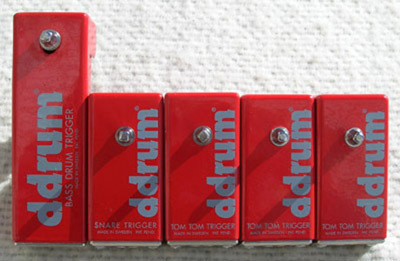 mid 1990's ddrum, acoustic drum triggers, bass trigger, snare trigger, tom tiggers(x3). 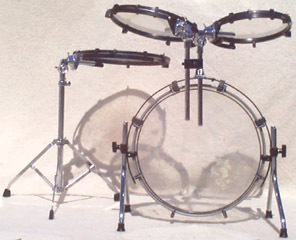 late 1990's Drum Frame, drum rack. 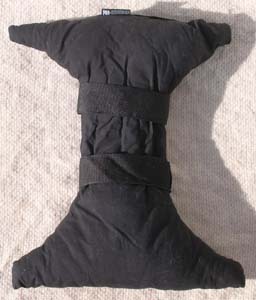 late 1990's DW/Drum Workshop, bass drum muffling pillow. 1950's Elton, 3" greco cymbal. 1950's Elton, 12" heavy splash cymbal. 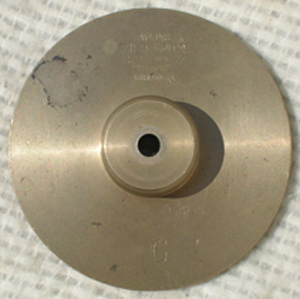 late 1950's Elton, cymbal tilter. 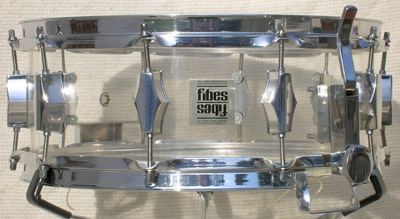 early 1970's Fibes, Crystalite, clear, 10 lug, 5x14" snare. 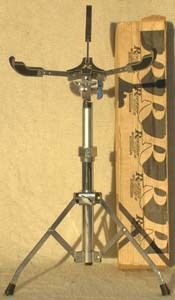 early 1990's Gibraltar, AX, aluminum, snare stand. 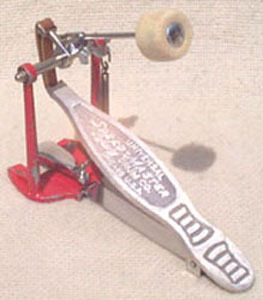 early 1960's Ghost, bass drum pedal. 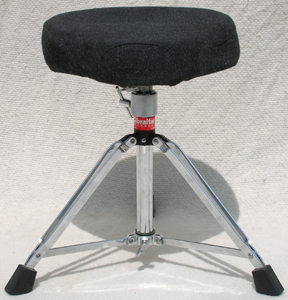 late 1990's Gibraltar, bicycle seat throne. 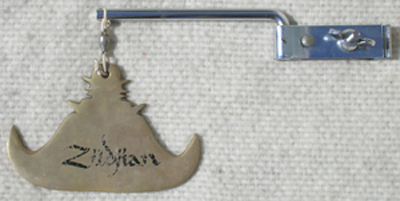 mid 2000's Gibraltar, cymbal arm. 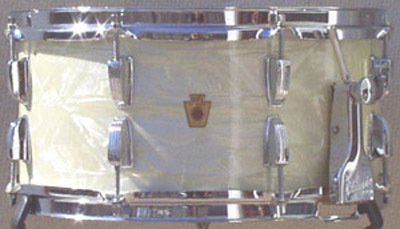 1953 Gretsch, white marine pearl, 3 ply shell, 9x13" tom. early 1960's Gretsch, 3 ply shell, 14x20" bass shell. 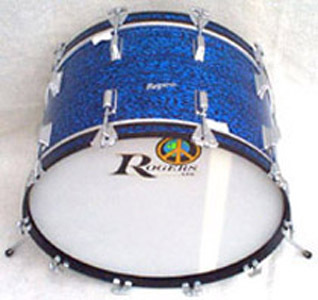 late 1960's Gretsch, blue sparkle, 6 ply shell, 8 lug, 4x14" snare. 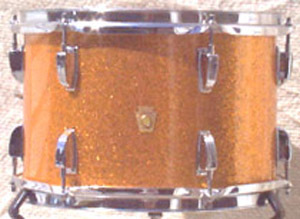 late 1960's Gretsch, champagne sparkle, 6 ply shell, 8 lug, 5&1/4x14" snare. 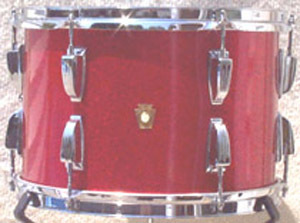 late 1960's Gretsch, red sparkle, 6 ply shell, 8 lug, 5&1/4x14" snare. 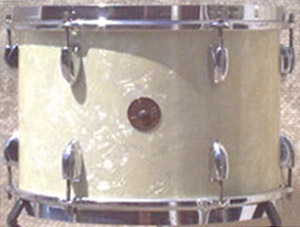 late 1960's Gretsch, white marine pearl, 6 ply shell, 8 lug, 5&1/4x14" snare. 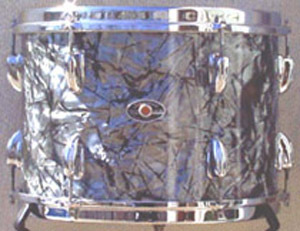 late 1960's Gretsch, black diamond pearl, 6 ply shell, 9x13" tom. 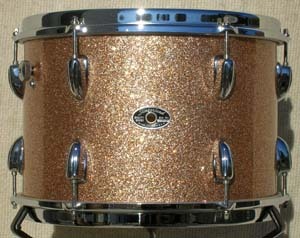 late 1960's Gretsch, champagne sparkle, 6 ply shell, 16x16" floor tom. 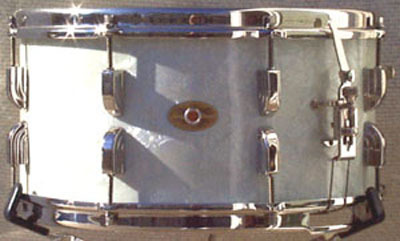 late 1960's Gretsch, double tom holder. 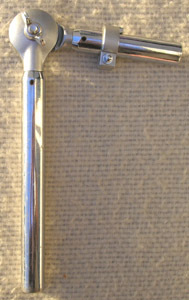 late 1960's Gretsch, cymbal arm. early 1970's Gretsch, Monster, hi-hat stand. late 1960's Hinger, 14" snare drum wires. late 1960's Japanese, Speed, hi-hat stand. late 1960's Japanese, cymbal stand. late 1960's Japanese, Ludwig style/copy, cymbal arm. late 1960's Japanese, Slingerland style/copy, cymbal arm. late 1960's Japanese, Slingerland style/copy, cymbal stand parts lot. 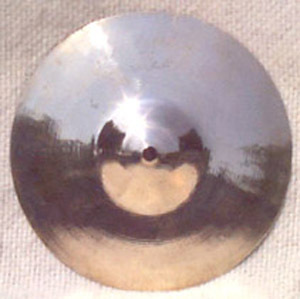 Late 1960's Japanese, cymbal sizzler. 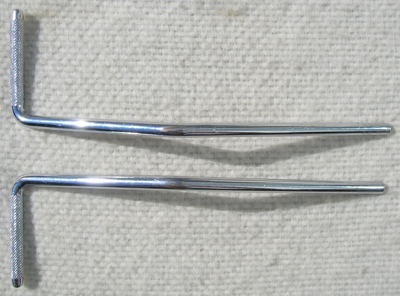 late 1960's Japanese, fold out, bass drum spurs. late 1960's Japanese, Walberg & Auge style/copy, bass drum spur. 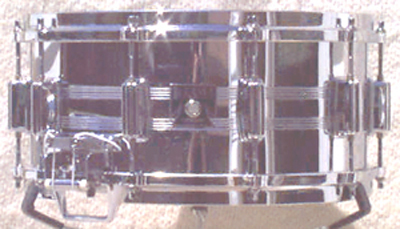 late 1960's Japanese, bass drum spur. late 1960's Japanese, drum key. 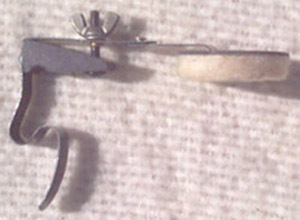 late 1960's Japanese, rail tom mount. 1960's Kester, Ching Ring, hi-hat tamberine. 1950's Kingston, Pro-Line, 15" crash cymbal. 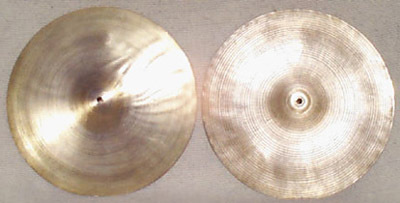 1960's Krut, 14" thin hi-hat cymbals. 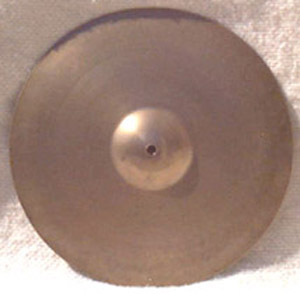 1940's LaPage, 12" thin splash cymbal. early 1930's Leedy, clip-on, tom mount. 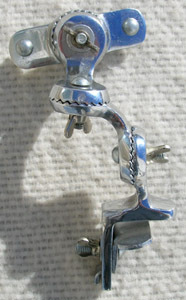 late 1930's Leedy, nickel, clip-on, bass drum spurs. mid 1950's Leedy, white marine pearl, 3 ply shell, nickel hardware, 8 lug, 7x14" snare. 1997 Legend, flat black tech finish, maple shell, 8 lug, 4x13" snare. late 1920's Ludwig & Ludwig, Pioneer, brass shell, nickel plated, 6 lug, 4x14" snare. 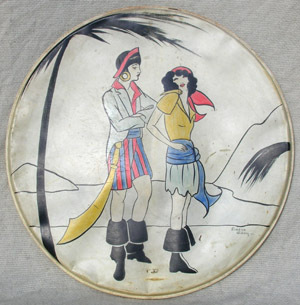 1920's Ludwig, Jazz Pirates, hand painted & colored, 26" bass drum head. 1920's Ludwig, 14", snare drum/tom top rim, nickel. early 1930's Ludwig & Ludwig, blue & silver duco, 3 ply shell, 8 lug, 7x14" snare. 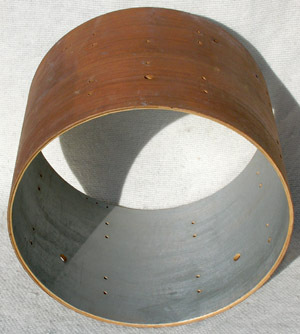 early 1930's Ludwig, snare drum throw off. 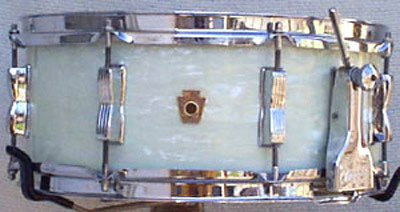 early 1940's Ludwig & Ludwig, white marine pearl, 3 ply shell, 9x13" tom. late 1940's W.F.L., blue & silver duco, 3 ply shell, nickel hardware, 8 lug, 7x14" snare. 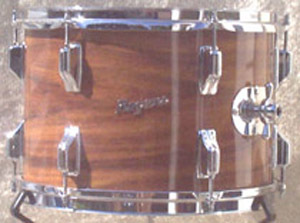 late 1940's W.F.L., mahogany, 3 ply shell, nickel hardware, 8 lug, 6&1/2x14" snare. 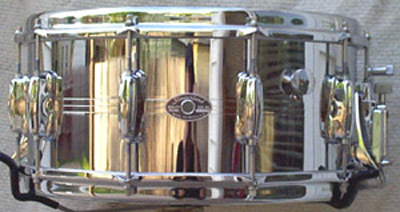 early 1950's W.F.L., black diamond pearl, 3 ply shell, nickel hardware, 8 lug, 5&1/2x14" snare. 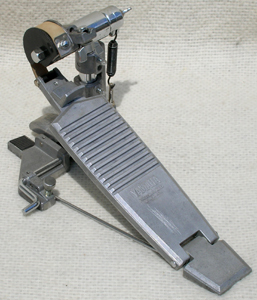 early 1950's Ludwig, Speed-Master, reversible bass drum pedal. 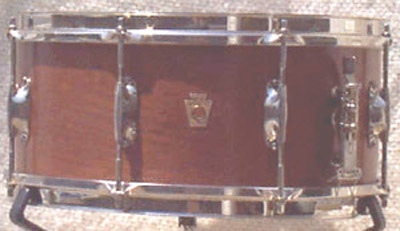 mid 1950's W.F.L., mahogany, 3 ply shell, nickel hardware, 8 lug, 6&1/2x15" snare. 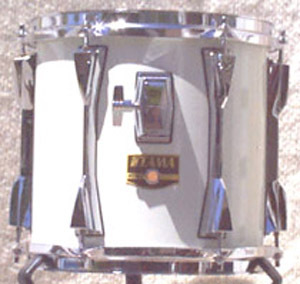 mid 1950's W.F.L., Classic, white marine pearl, 3 ply shell, 8 lug, 6&1/2x14" snare. 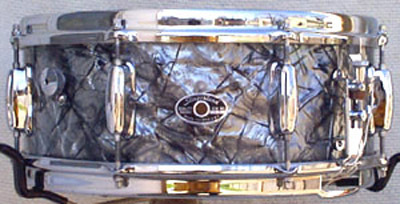 mid 1950's W.F.L., Downbeat, black diamond pearl, 3 ply shell, 8 lug, 4x14" snare. 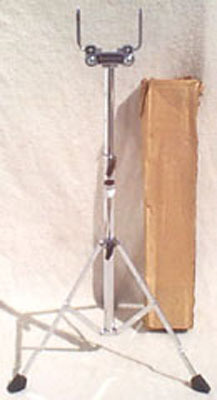 mid 1950's W.F.L., flat based hi-hat stand. 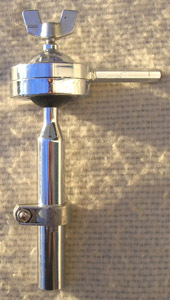 mid 1950's W.F.L., beer tap, throw off. 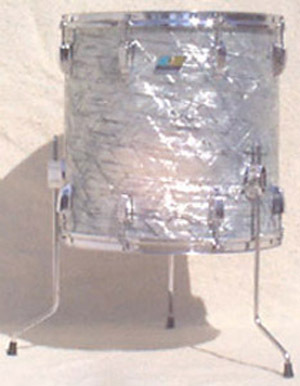 late 1950's W.F.L., silver sparkle, 3 ply shells, nickel hardware, 6&8" bongos. 1958 W.F.L., Classic, white marine pearl, 3 ply shell, 8 lug, 5&1/2x14" snare. 1959 Ludwig, Porto Pak, transition badge, black diamond pearl, 3 ply shell, nickel hardware, 6 lug, 5x13" snare. 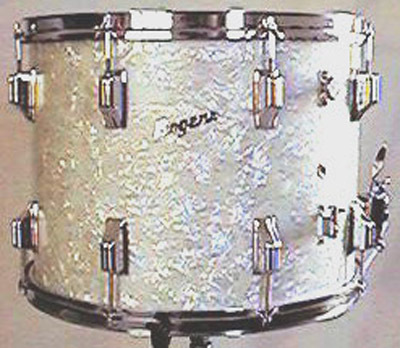 1961 Ludwig, Jazzfest, champagne sparkle, 3 ply shell, 8 lug, 5&1/2x14" snare. 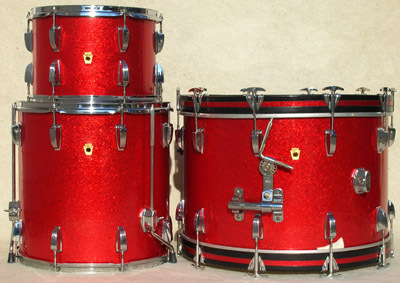 1963 Ludwig, Super Classic, red sparkle, 3 ply shells, 8x12",16x16",14x22" set. early 1960's Ludwig, Super Classic, sky blue pearl, 3 ply shell, nickel hardware, 16x18" floor tom. 1960's Ludwig/Paiste, 20" light ride cymbal. 1960's Ludwig/Paiste, 14" hi-hat cymbals. early 1960's W.F.L./Ludwig, flat based snare stand. late 1950's-early 60's W.F.L./Ludwig, marching drum tension rods & threaded claws. 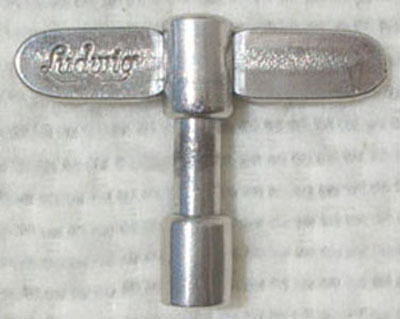 early 1960's Ludwig, cymbal arm. early 1960's Ludwig, Porto, throne. early 1960's Ludwig, drum key. 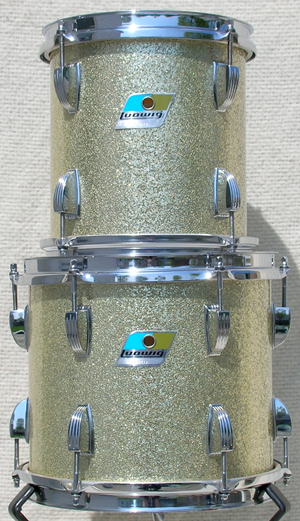 1964 Ludwig, Super Classic, champagne sparkle, 3 ply shell, 8x12" tom. 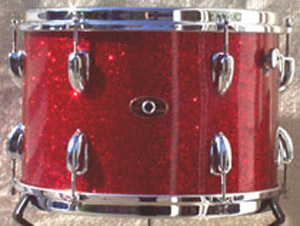 1964 Ludwig, Super Classic, red sparkle, 3 ply shell, 9x13" tom. 1966 Ludwig, Jazzfest, champagne sparkle, 3 ply shell, 8 lug, 5x14" snare. 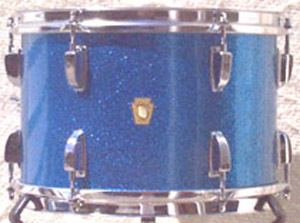 1966 Ludwig, Super Classic, blue sparkle, maple shell, 8x12" tom. 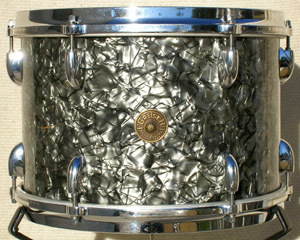 1966 Ludwig, Super Classic, champagne sparkle, 3 ply shell, 14x20" bass. mid 1960's Ludwig, Classic, black oyster pearl, 3 ply shell, nickel hardware, 8 lug, 5&1/2x14" snare. mid 1960's Ludwig, Downbeat, green sparkle, 3 ply shell, 8 lug, 4x14" snare. mid 1960's Ludwig, Downbeat, silver sparkle, 3 ply shell, nickel hardware, 8 lug, 4x14" snare. mid 1960's Ludwig, Jazzfest, blue sparkle, 3 ply shell, 8 lug, 5x14" snare. mid 1960's Ludwig, Jazzfest, red sparkle, 3 ply shell, 8 lug, 5x14" snare. mid 1960's Ludwig, Pioneer, white marine pearl, 3 ply shell, 6 lug, 5x14" snare. mid 1960's Ludwig, Super Classic, gold sparkle, 3 ply shell, 8x12" tom. mid 1960's Ludwig, #190A, brushes. mid 1960's Ludwig, practice pad, excellent. mid 1960's Ludwig, snare drum case, excellent. 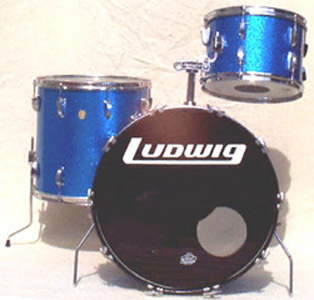 1967 Ludwig, Super Classic, blue sparkle, 3 ply shells, 9x13",16x16",14x22" set. 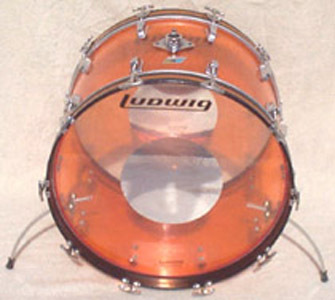 1967 Ludwig, Super Classic, mod orange, 3 ply shells, 8x12",9x13",16x16",14x22" set. 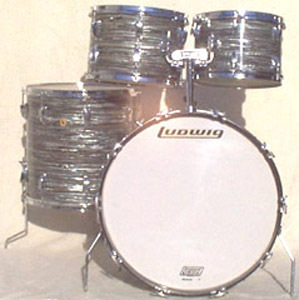 1968 Ludwig, blue oyster pearl, 3 ply shells, 8x12",10x13",16x16",14x22" set. 1968 Ludwig, Super Classic, blue oyster pearl, maple shell, 8x12" tom. 1969 Ludwig, Super Classic, blue sparkle, 3 ply shell, 8x12" tom. 1969 Ludwig, Super Classic, champagne sparkle, 3 ply shell, 9x13" tom. 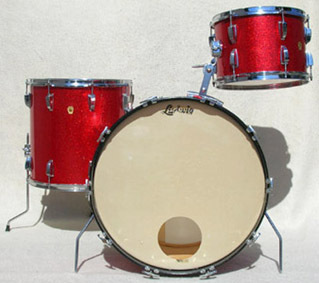 1969 Ludwig, Super Classic, red sparkle, 3 ply shells, 9x13",16x16",14x22" set. 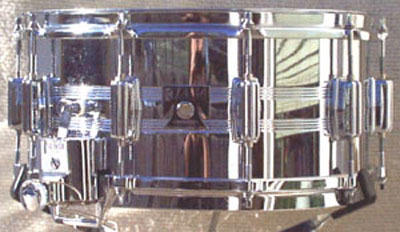 1969 Ludwig, flat based snare stand. 1969 Ludwig, Atlas, hi-hat stand. late 1960's Ludwig, Downbeat, white marine pearl, 3 ply shell, nickel hardware, 8 lug, 4x14" snare. late 1960's Ludwig, Pioneer, gold sparkle, 3 ply shell, nickel hardware, 6 lug, 5x14" snare. late 1960's Ludwig, Standard, bronze strata, 3 ply shell, 8 lug, 5x14" snare. late 1960's Ludwig, Supraphonic, alloy shell, 10 lug, 5x14" snare. late 1960's Ludwig, Super Classic, psychadelic red, 3 ply shell, 16x16" floor tom. late 1960's Ludwig, Super Classic, red sparkle, 3 ply shell, 14x20" bass. 1960's Ludwig/Paiste, 15" hi-hat cymbals. 1960's Ludwig/Paiste, Standard, 14" hi-hat cymbals. 1960's Ludwig/Paiste, Standard, 15" crash cymbal. 1960's Ludwig/Paiste, Standard, 18" crash cymbal. 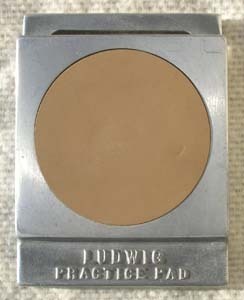 1960's Ludwig, 5" cow bell. 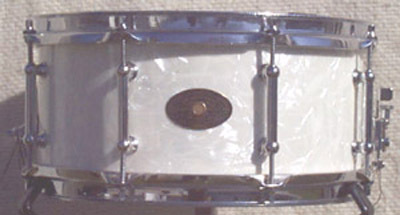 early 1960's Ludwig, snare drum sling. 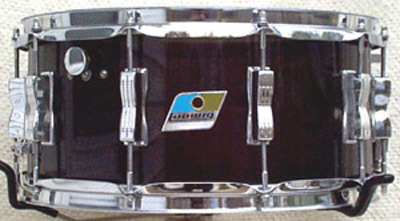 early 1970's Ludwig, Super Classic, black diamond pearl, 3 ply shells, 9x13",16x16",14x22" set. early 1970's Ludwig, Super Classic, black oyster pearl, 3 ply shells, 9x13",16x16",14x22" set. 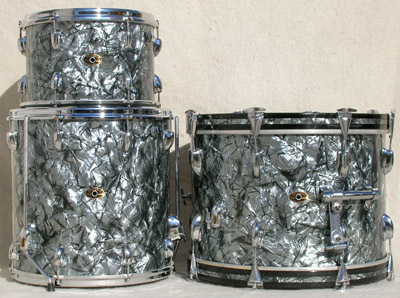 early 1970's Ludwig, silver sparkle, 3 ply shells, 8x12",16x16",14x20" set. early 1970's Ludwig, Jazzfest, blue sparkle, 3 ply shell, 8 lug, 5x14" snare. early 1970's Ludwig, Supraphonic, alloy shell, 10 lug, 5x14" snare. early 1970's Ludwig, Vistalite, amber, 10 lug, 5x14" snare. early 1970's Ludwig, Super Classic, black diamond pearl, 3 ply shell, 9x13" tom. early 1970's Ludwig, stainless steel, 8x12" & 9x13" toms. early 1970's Ludwig, Vistalite, red, 8x12" tom shell. early 1970's Ludwig, Vistalite, red, 9x13"tom shell. early 1970's Ludwig, Vistalite, green, 9x13" tom. early 1970's Ludwig, Super Classic, sky blue pearl, 3 ply shell, 16x16" floor tom. 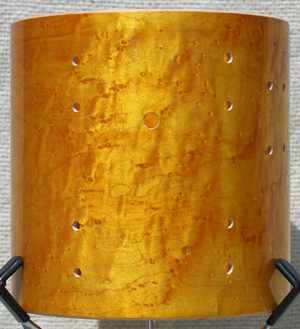 early 1970's Ludwig, Vistalite, amber, 14x22" bass. early 1970's Ludwig, red sparkle, 3 ply shells, 6&8" bongos. early 1970's Ludwig, Super Classic, blue sparkle, 3 ply shell, 12" conga. 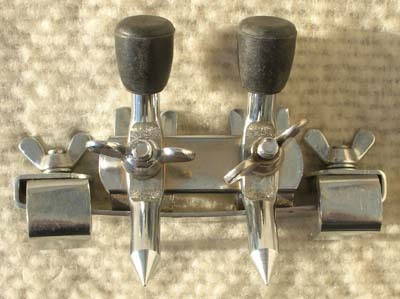 early 1970's Ludwig, Speed King, bass drum pedal. early 1970's Ludwig, Atlas, snare stand. early 1970's Ludwig, Atlas, orchestra snare stand. early 1970's Ludwig, Atlas, hi-hat stand. early 1970's Ludwig, Atlas, cymbal stand. mid 1970's Ludwig, Hercules, snare stand. early 1970's Ludwig, Hercules, hi-hat stand. early 1970's Ludwig, Hercules, cymbal stand. early 1970's Ludwig, Hercules, throne. mid 1970's Ludwig, Vistalite, blue, 10 lug, 5x14" snare. mid 1970's Ludwig, Vistalite, smokey grey, 10 lug, 6&1/2x14" snare. mid 1970's Ludwig, Vistalite, tequilla sunrise, 10 lug, 5x14" snare. mid 1970's Ludwig, Vistalite, clear, 9x13" tom. 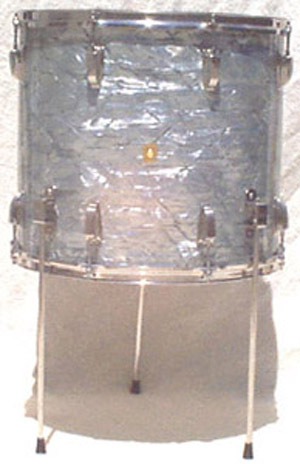 mid 1970's Ludwig, silver sparkle, 6 ply shell, 9x8" & 9x10" toms. mid 1970's Ludwig, Super Classic, maple, 6 ply shell, 9x13" tom. 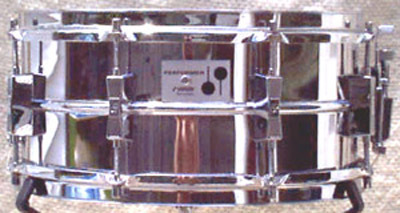 mid 1970's Ludwig, bass drum decal. mid 1970's Ludwig, #344, mallets. late 1970's Ludwig, Atlas, double tom stand. 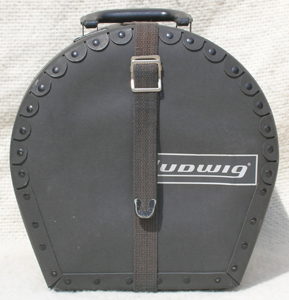 late 1970's Ludwig, 9x10 drum case. 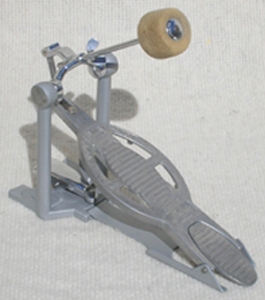 early 1980's Ludwig, Speed King, bass drum pedal. early 1990's Ludwig, Supraphonic, 10 lug, 6&1/2x14" snare. 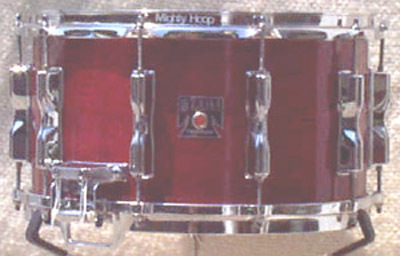 early 1990's Mapex, Birch Deluxe, birch shell, 10 lug, 6&1/2x14" snare. 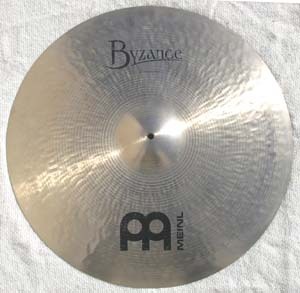 2000's Meinl, Byzance, 24" medium ride cymbal. 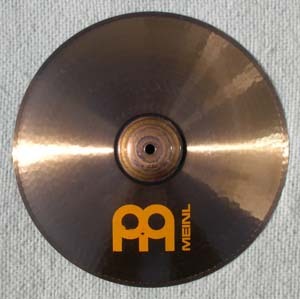 2000's Meinl, Rakes, 14&1/2" heavy crash cymbal. Professionally cut down from 16" Heavy Crash. 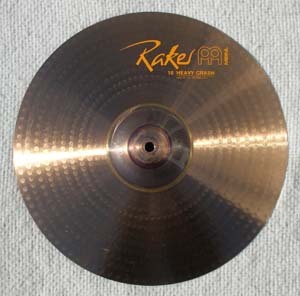 2000's Meinl, Rakes, 14&1/4" mini china cymbal. Professionally cut down from 20" China. late 1980's Joe Montineri, white marine pearl, maple shell, 8 lug, 5&1/2x12" snare. 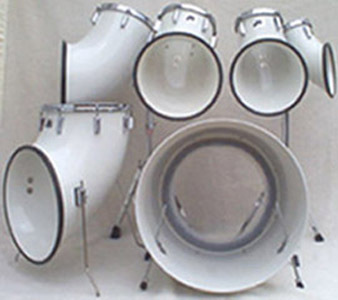 early 1980's North, white, fiberglass shells, 6",8",10",12",14",22" set. 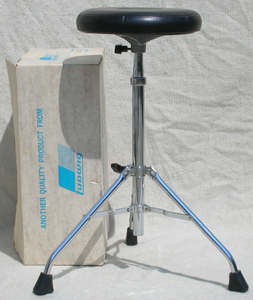 early 1980's North, hi-hat stand. 1960's Paiste, 602, 20" medium ride cymbal. 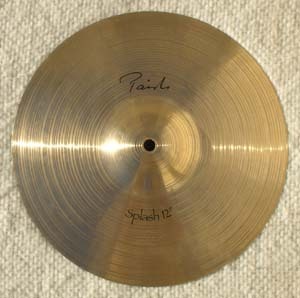 1960's Paiste, 602, 20" medium sizzle ride cymbal. 1960's Paiste, 602, 22" medium sizzle ride cymbal. 2000's Paiste, Signature, 12" splash cymbal. mid 1970's Pearl, snare drum stand. 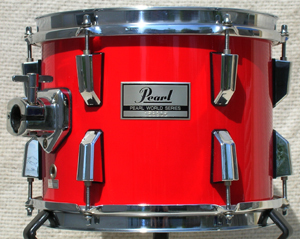 late 1980's Pearl, World Series, coral red lacquer, maple shell, 8x10" tom. 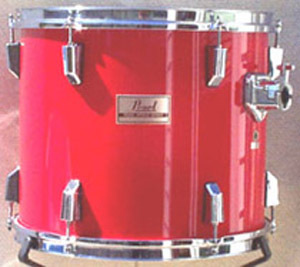 late 1980's Pearl, World Series, coral red lacquer, maple shell, 12x14" tom. 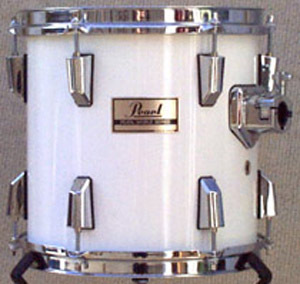 late 1980's Pearl, World Series, aspen white lacquer, maple shell, 10x10" tom. 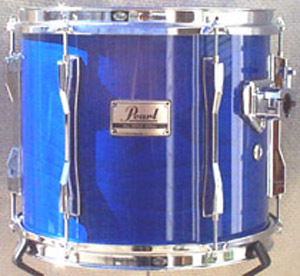 early 1990's Pearl, BLX, sheer blue, birch shell, 11x13" tom. 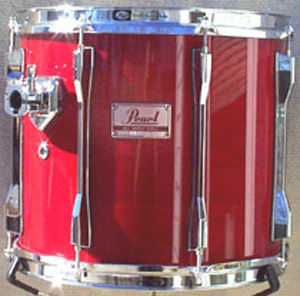 early 1990's Pearl, MLX, sequoia red, maple shell, 12x14" tom. 1996 Pearl, 50th anniversary, ebony, solid maple1 ply shell, 10 lug, 6&1/2x14" snare. 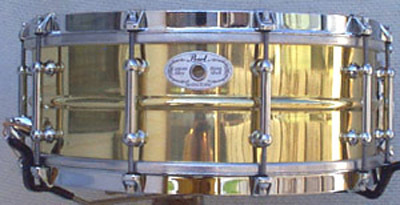 1998 Pearl, Sensitone, brass shell, 10 lug, 5&1/2x14" snare. 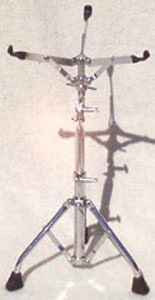 early 1990's Pearl, snare stand. 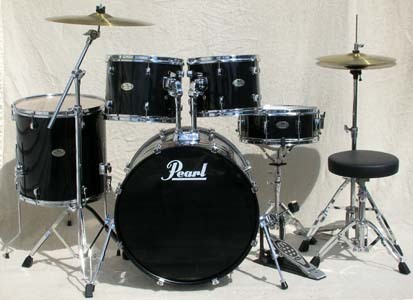 late 2000's Pearl, Forum Series, gloss black, 9x12",10x13",16x16",18x22",5x14", 14" hi-hats & 18" crash/ride, & complete hardware package. 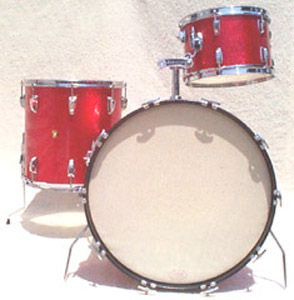 late 1950's Premier, red sparkle, birch shells, 6&8" bongos. early 1960's Premier, brass shell, 8 lug, parallel, 4x14" snare. 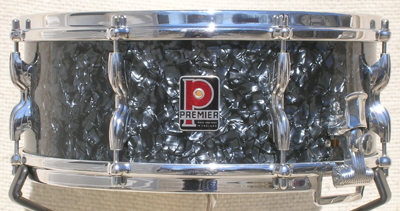 early 1960's Premier, black diamond pearl, birch shell, 8 lug, parallel, 5&1/2x14" snare. 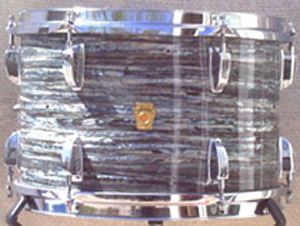 mid 1960's Premier, blue diamond pearl, birch shell, 8 lug, parallel, 5&1/2x14" snare. 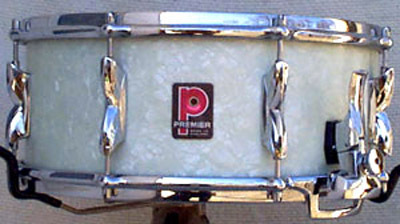 mid 1960's Premier, white marine pearl, birch shell, 8 lug, parallel, 5x14" snare. 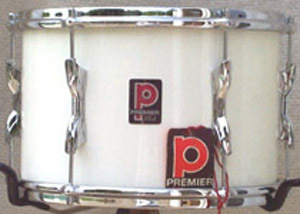 late 1960's Premier, white marine pearl, birch shell, 8 lug, parallel, 5&1/2x14" snare. 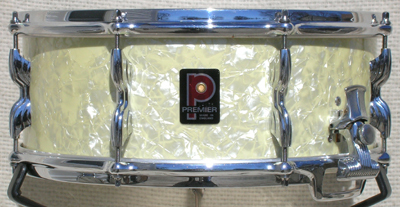 late 1960's Premier, chrome, alloy shell, 8 lug, parallel, 5&1/2x14" snare. 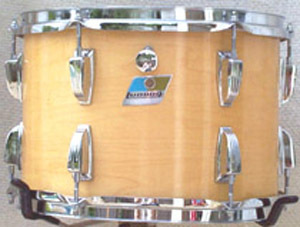 late 1960's Premier, white, birch shell, 8x12" tom. 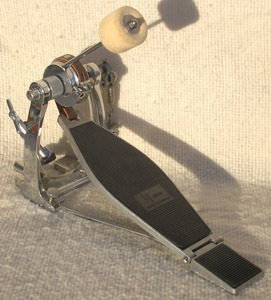 early 1980's Premier, 252, bass drum pedal. 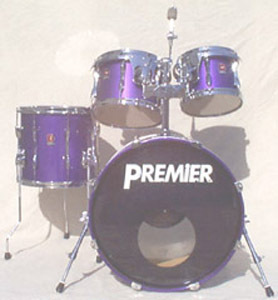 late 1990's Premier, XPK, metallic purple lacquer, birch/eucalyptus shells, 8x10",9x12",13x14",16x22" set. 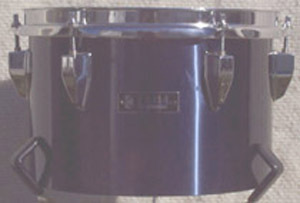 late 1980's PureCussion, R.I.M.S. 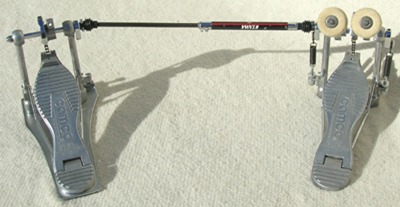 head set, 12",14",16",20" set. 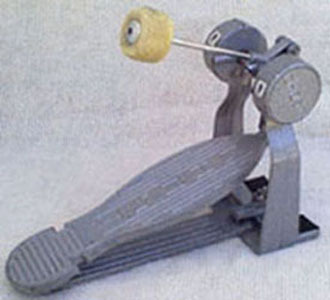 late 1980's Remo, roto tom stand. late 1950's Rogers, Holiday, Cleveland, blue onyx, maple shell, 8 lug, 5x14" snare. 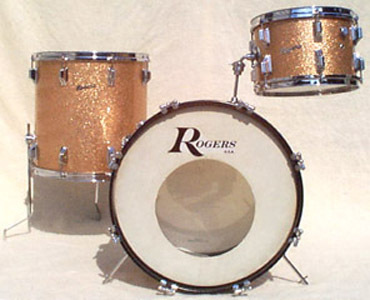 early 1960's Rogers, Holiday, Cleveland, champagne sparkle, maple shells, 8x12",16x16",14x20" set. early 1960's Rogers, Banner, Cleveland, black diamond pearl, maple shell, 6 lug, 5x14" snare. 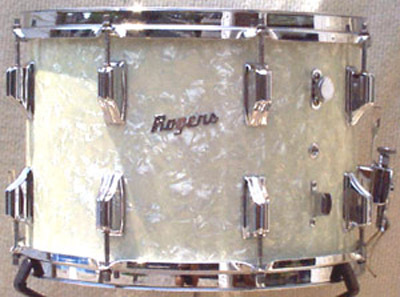 early 1960's Rogers, Luxor, Cleveland, steel grey ripple, maple shell, 6 lug, 5x14" snare. early 1960's Rogers, Tower, Cleveland, black diamond pearl, maple shell, 8 lug, 5x14" snare. As seen/used, in the David Chase/Paramount Pictures film, "Not Fade Away"! early 1960's Rogers, Tower, Cleveland, silver sparkle, maple shell, 8 lug, 5&1/4x14" snare. 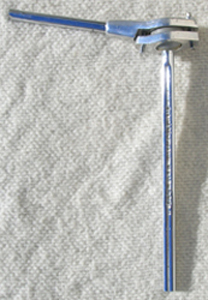 early 1960's Rogers, Swiv-o-matic, drum key. mid 1960's Rogers, Dynasonic, brass shell, 10 lug, 5&1/4x14" snare. late 1960's Rogers, Powertone, Dayton, white marine pearl, maple shell, 8 lug, 10x14" snare. late 1960's Rogers, Powertone, Dayton, white marine pearl, maple shell, 8 lug, 12x15" snare. late 1960's Rogers, Powertone, Fullerton, brass shell, 8 lug, 5&1/4x14" snare. 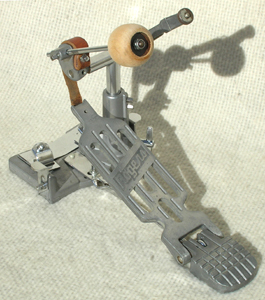 late 1960's Rogers, Swiv-o-matic, bass drum pedal. 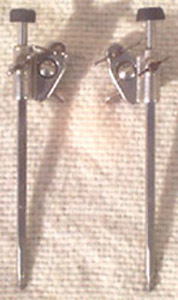 late 1960's Rogers, Swiv-o-matic, snare stand. late 1960's Rogers, Swiv-o-matic, hi-hat stand. 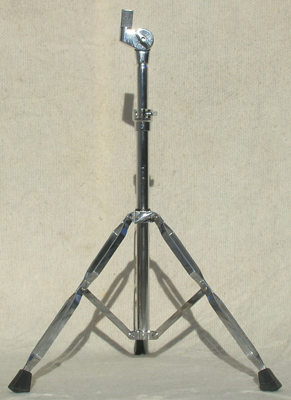 late 1960's Rogers, Swiv-o-matic, cymbal stand. late 1960's Rogers, Swiv-o-matic, cymbal tilter. 1972 Rogers, black, maple shells, 8&10" concert toms. early 1970's Rogers, Dynasonic, brass shell, 10 lug, 5&1/4x14" snare. early 1970's Rogers, Super Ten, Fullerton, steel shell, 10 lug, 5&1/4x14" snare. early 1970's Rogers, Powertone, Fullerton, koa, maple shell, 9x13" tom. early 1970's Rogers, Holiday, Fullerton, red onyx, maple shell, 16x16" floor tom. early 1970's Rogers, Holiday, Fullerton, blue onyx, maple shell, 14x24" bass. early 1970's Rogers, Memriloc, snare stand. early 1970's Rogers, Swiv-o-matic, hi-hat stand. 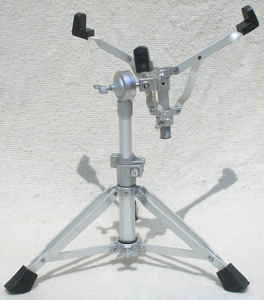 early 1970's Rogers, Swiv-o-matic, cymbal stand. 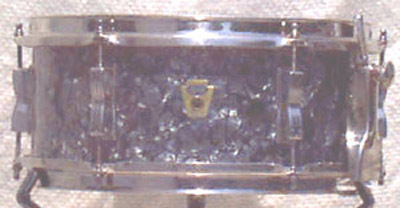 early 1970's Rogers, Memriloc, 1" memory lock. 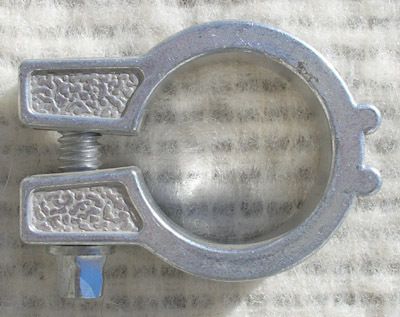 early 1970's Rogers, Memriloc, cymbal arm clamp. early 1970's Rogers, Memriloc, tom arm. 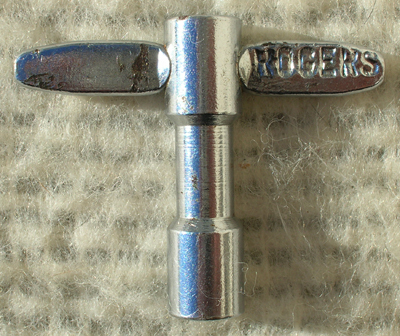 early 1970's Rogers, clip-on muffler. 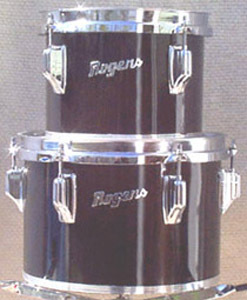 early 1980's Rogers, R360, tom arm. 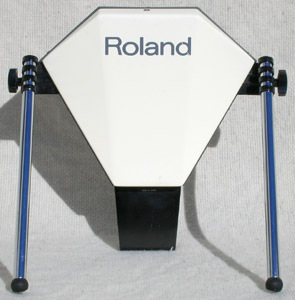 late 1980's Roland, PD-10, bass drum pad. 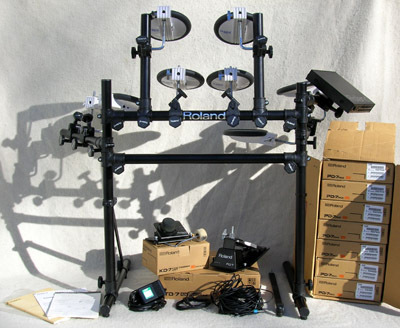 2000 Roland, TD-7E, TD-7 brain, PD-7 dual trigger pads(x8), KD-7 bass drum trigger, FD-7 hi-hat pedal, & rack, manual, & boxes. 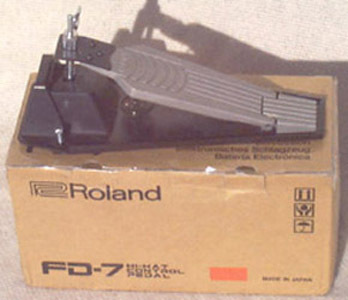 2002 Roland, FD-7, electronic hi-hat controler. 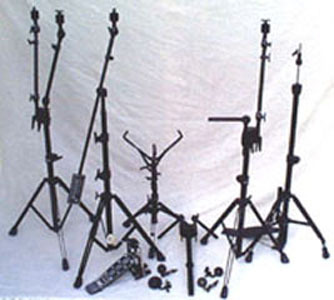 2002 Roland, MDY-7, electronic cymbal holder. 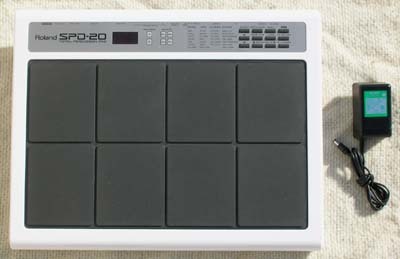 2000's Roland, SPD-20, electronic drum pad/brain. 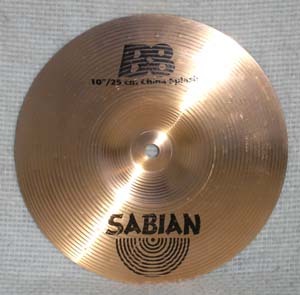 1990's Sabian, AAX, 10" thin splash cymbal. 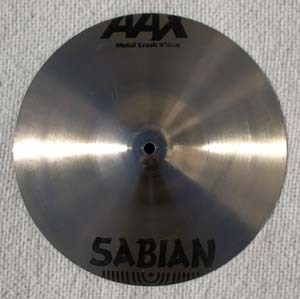 2000's Sabian, AAX, 13" bell/mega cup chime/accent cymbal. Professionally cut down from 18" Metal Crash. 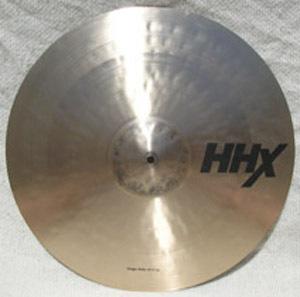 2000's Sabian, HHX, Studio, 18" crash cymbal. 2000's Sabian, HHX, Stage, 20" ride cymbal. 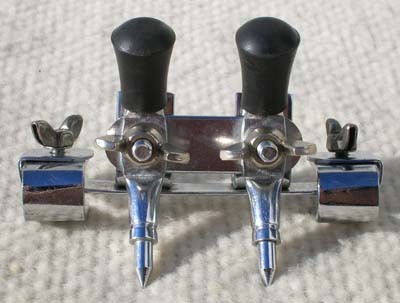 late 1930's Slingerland, Epic, bass drum pedal. 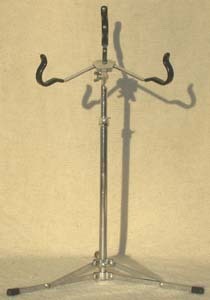 late 1930's Slingerland, Epic, hi-hat stand. late 1930's Slingerland, Radio King, cymbal arm. early 1940's Slingerland, Radio King, red & yellow duco, 3 ply shells, 9x13",16x16",14x24" set. 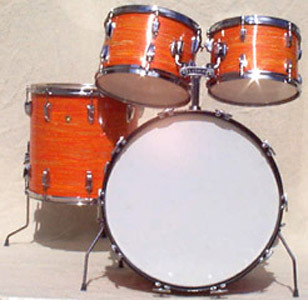 mid 1950's Slingerland, Radio King, marine pearl, 3 ply shells, 9x13",16x16",14x26", 5&1/2x14" set. mid 1950's Slingerland, Radio King, sparkling gold pearl, solid maple 1 ply shell, nickel hardware, 8 lug, 5&1/2x14" snare. late 1950's Slingerland, Radio King, black diamond pearl, solid maple 1 ply shell, 8 lug, 5&1/2x14" snare. late 1950's Slingerland, Radio King, black diamond pearl, solid maple 1 ply shell, 8 lug, 7x14" snare. late 1950's Slingerland, Radio King, blue sparkle pearl, solid maple 1 ply shell, 8 lug, 5&1/2x14" snare. late 1950's Slingerland, cow bell/wood block holder. 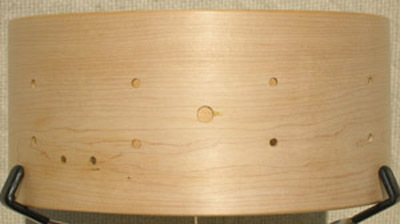 late 1950's Slingerland, wood block. 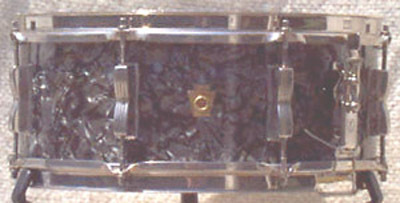 1963 Slingerland, black diamond pearl, 3 ply shells, 8x12",16x16",14x22" set. early 1960 Slingerland, Hollywood Ace, black & gold duco, 3 ply shell, 8 lug, 5&1/2x14" snare. early 1960 Slingerland, black & gold duco, 3 ply shell, 14x22" bass. 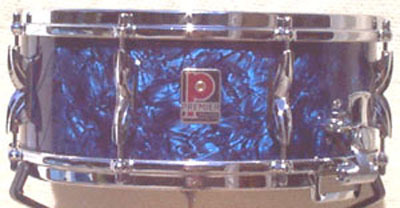 1965 Slingerland, blue agate pearl, 3 ply shells, 9x13",16x16",14x20" set. 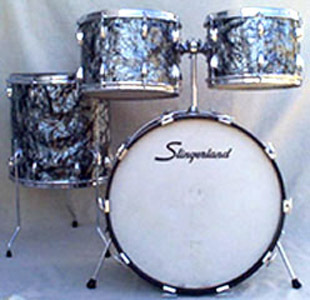 1966 Slingerland, grey agate pearl , 3 ply shells, 8x12",14x14",14x20" set. 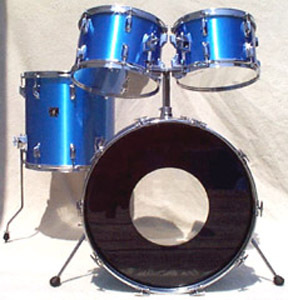 1966 Slingerland, sky blue pearl, 3 ply shells, 8x12",14x14",14x20",5&1/2x14" set. late 1960's Slingerland, Artist, black diamond pearl, 3 ply shell, 8 lug, 5&1/2x14" snare. 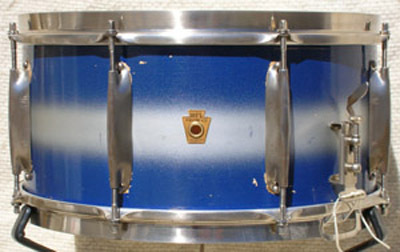 late 1960's Slingerland, Artist, blue agate pearl, 3 ply shell, 8 lug, 5&1/2x14" snare. late 1960 Slingerland, Artist, gold satin flame, 3 ply shell, 8 lug, 5&1/2x14" snare. late 1960's Slingerland, Deluxe Student, mahogany, 3 ply shell, 6 lug, 5&1/2x14" snare. late 1960's Slingerland, Hollywood Ace, dark blue/purple sparkle pearl, 3 ply shell, 8 lug, 5&1/2x14" snare. late 1960's Slingerland, Krupa, brass shell, 8 lug, 5&1/4x14" snare. 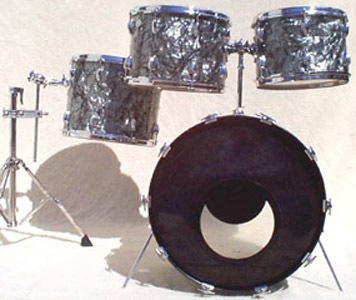 late 1960's Slingerland, black diamond pearl, 3 ply shells, 9x13",16x16",14x20" set. 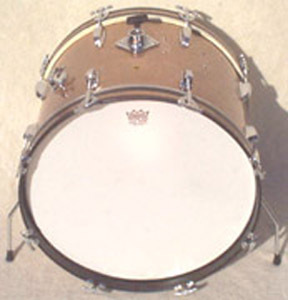 late 1960's Slingerland, marine pearl, 3 ply shells, 8x12",10x13",16x16" toms. 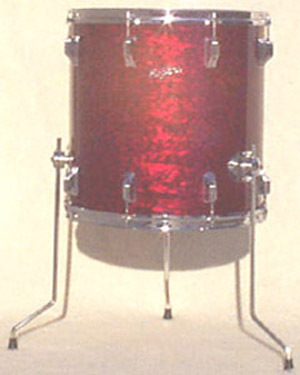 late 1960's Slingerland, sparkling red pearl, 3 ply shell, 9x13" tom. 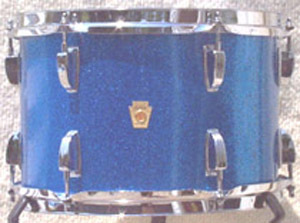 1965 Slingerland, sparkling blue pearl, 3 ply shell, 14x14" floor tom. late 1960's Slingerland, Tempo King, bass drum pedal. 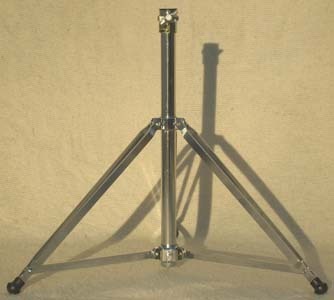 late 1960's Slingerland, flat based snare stand. late 1960's Slingerland, Rocket, snare stand. 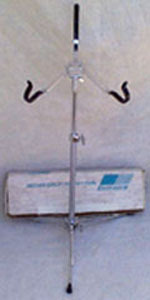 late 1960's Slingerland, flat based, hi-hat stand. 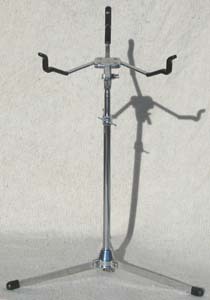 late 1960's Slingerland, Dynamo, hi-hat stand. late 1960's Slingerland, Set-o-matic, tom arm. 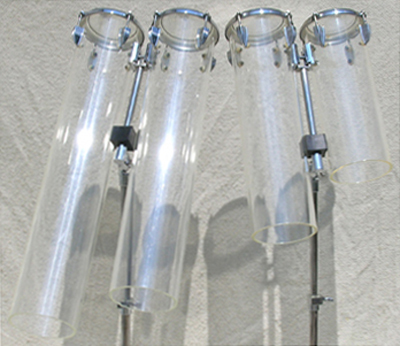 late 1960's Slingerland, marching drum tension rods, set of 6.
early 1970's Slingerland, black diamond pearl, 3 ply shells, 9x13",10x14",16x16",14x22",5&1/2x14" set. 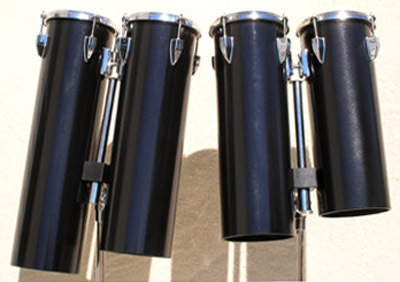 early 1970's Slingerland, black diamond pearl, 3 ply shells, 9x13",10x14",12x15",14x22" set. early 1970's Slingerland, Deluxe Student, black diamond pearl, 3 ply shell, 6 lug, 5&1/2x14" snare. 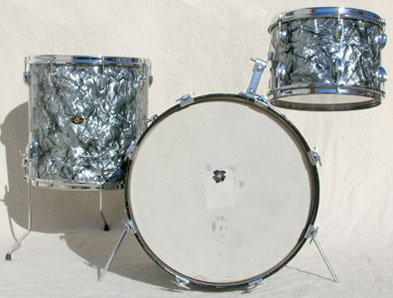 early 1970's Slingerland, Hollywood Ace, sparkling silver pearl, 3 ply shell, 8 lug, 5&1/2x14, snare. early 1970's Slingerland, Student, aluminum shell, 10 lug, 5&1/2x14" snare. early 1970's Slingerland, sparkling blue pearl, 3 ply shells, 6&8" bongos. early 1970's Slingerland, sparkling blue pearl, 3 ply shells, 10&12" concert toms. 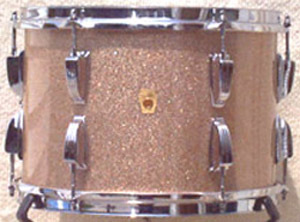 early 1970's Slingerland, sparkling champagne pearl, 3 ply shell, 9x13" tom. 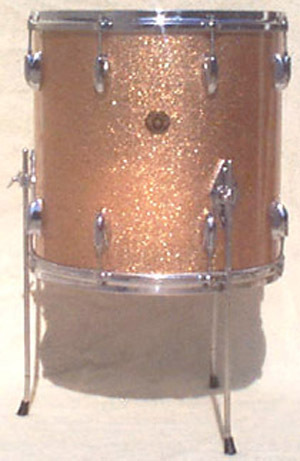 early 1970's Slingerland, sparkling champagne pearl, 3 ply shell, 14x20" bass drum. 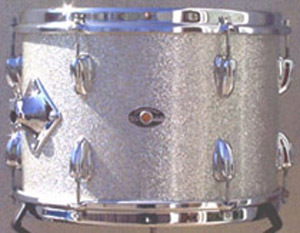 early 1970's Slingerland, sparkling silver pearl, 3 ply shell, 9x13" tom. early 1970's Slingerland, Rocket, snare stand. 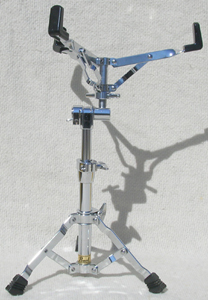 early 1970's Slingerland, Dynamo, hi-hat stand. 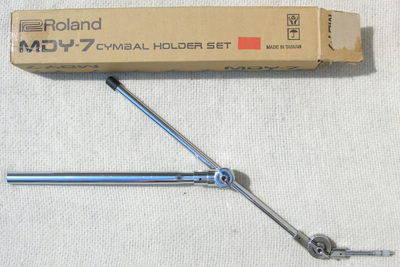 early 1970's Slingerland, cymbal arm. 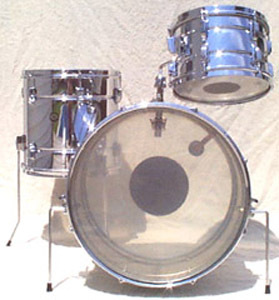 early 1970's Slingerland, Set-o-matic, tom arm. 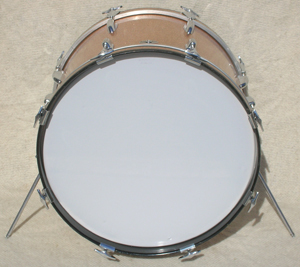 early 1970's Slingerland, Set-o-matic, double tom mount. mid 1970's Slingerland, TDR, brass shell, 10 lug, 6&1/2x14" snare. mid 1970's Slingerland, Artist, mahogany, 3 ply shell, 8 lug, 5&1/4x14" snare. 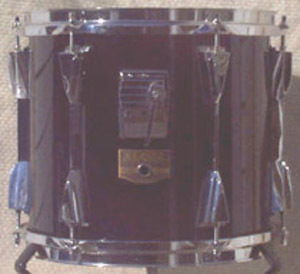 mid 1970's Slingerland, black diamond pearl, 3 ply shell, 9x13" tom. mid 1970's Slingerland, chrome, 6 ply shells, 6&8" concert toms. 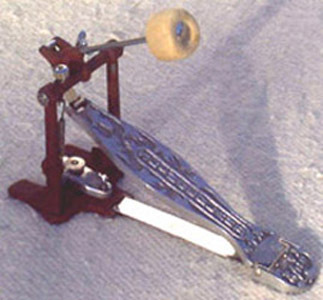 early 1990's Slingerland, floor tom leg/cymbal arm mount. late 1960's Sonor, tractor throne. 1975 Sonor, Champion, bass drum pedal footboard. early 1980's Sonor, Phonic, bass drum pedal. late 1980's Sonor, Lite, yellow lacquer, black hardware, Scandanavian birch shells, 9x10",10x12",11x13"17x16",17x22",7x14" set, Phonic Plus hardware. 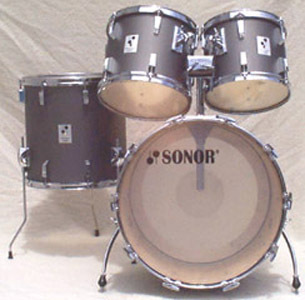 late 1980's Sonor, Performer, hi-tech grey, poplar shells, 10x12",11x13",16x16",16x22",6&1/2x14" set. 2002 Spaun, canary yellow, maple shells, 8x6&12x6" octobans. 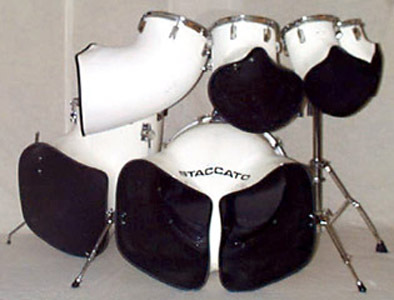 early 1980's Staccato, white, fiberglass shells, 6",8",10"12",16",22" set. 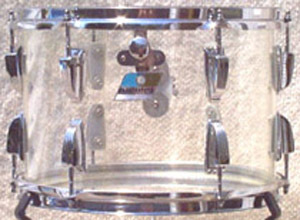 late 1970's Tama, extra deep, 4pc., low pitch Octobans, clear, acrylic shells. 1982 Tama, Imperialstar, black, mahogany shell, 8x8" & 8x10" toms. 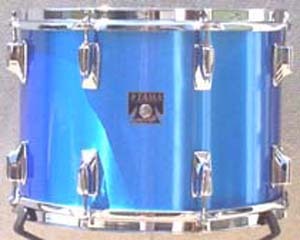 early 1980's Tama, Imperialstar, royal blue, mahogany shells, 8x12",9x13",16x16",14x22",6&1/2x14" set. early 1980's Tama, Octobans, black, fiberglass shells, low pitch set. early 1980's Tama, Imperialstar, dark blue, mahogany shell, 10" concert tom. 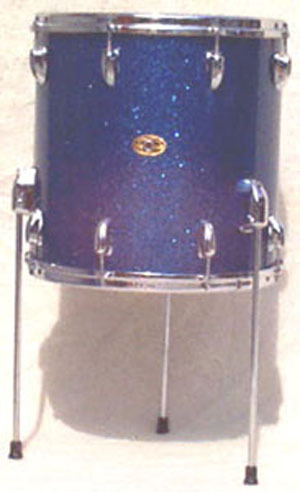 early 1980's Tama, Imperialstar, royal blue, mahogany shell, 10x14" tom. 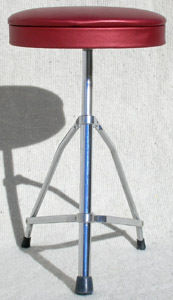 mid 1970's Star/Tama, Stage Star, 6912, cymbal stand. 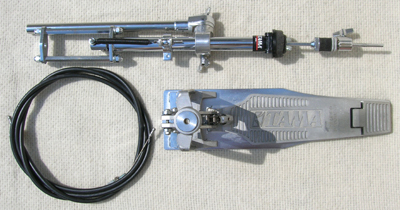 mid 1980's Tama, 60-K, clamp & L cymbal arm. 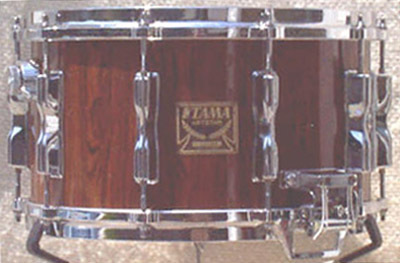 mid 1980's Tama, #6, multi clamp. mid 1980's Tama, Artstar, Mastercraft, AS658, cordia, birch shell, 10 lug, 8x14" snare. mid 1980's Tama, Imperialstar, Mastercraft, 8056, steel shell, 10 lug, 7x14" snare. mid 1980's Tama, Imperialstar, King-Beat, 8006, steel shell, 10 lug, 6&1/2x14", snare. mid 1980's Tama, Superstar, Artwood, AW458, cherry wine, birch shell, 10 lug, 8x14" snare. mid 1980's Tama, Artstar, cordia, birch shell, 16x16" floor tom. mid 1980's Tama, Superstar, cherry wine, birch shells, 9x8",9x10",11x12" toms. 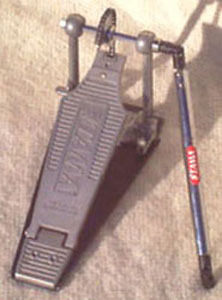 mid 1980's Tama, Pro Beat, HP45TW, double bass drum pedal. 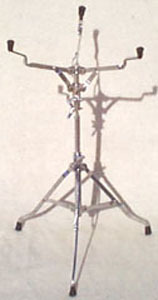 mid 1980's Tama, Titan, hi-hat stand. late 1980's Tama, Stage Master, HS50, snare stand. late 1980's Tama, X-Hat, HH95XH, hi-hat stand. 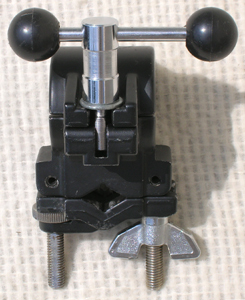 late 1980's Tama, J3, power rack multi-clamp. early 1990's Tama, Titan, double tom holder. early 1990's Tama, Titan, single tom holder. 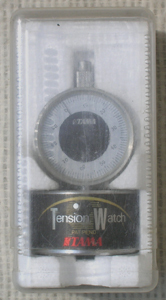 mid 1990's Tama, Tension Watch. 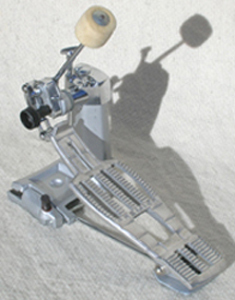 mid 1990's Tama/Camco, HP35TW, double bass drum pedal. 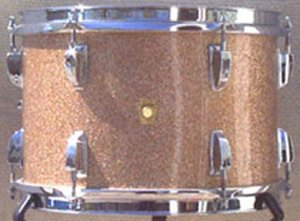 late 1980's Tama, Artstar II, bird's eye maple, maple shell, 10x10" tom shell. late 1980's Tama, Artstar II, piano black, maple shell, 10x11" tom. late 1980's Tama, Granstar, sheer yellow, birch shell, 10x11" tom. early 1990's Tama, Artstar II, piano white, maple shell, 10x10" tom. 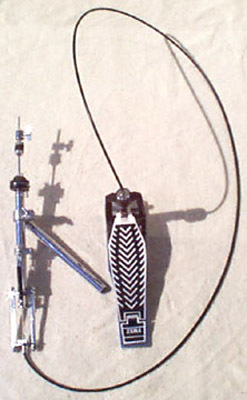 early 1990's Tama, HH95CH, cable hi-hat stand. 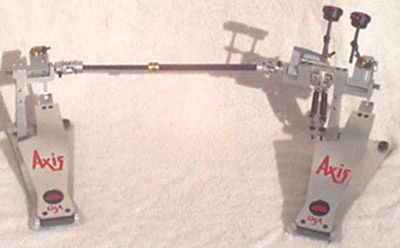 late 1990's Tama, double bass drum slave pedal. 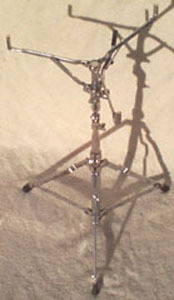 late 1990's Tama, HH95CH, cable hi-hat stand. early 1990's Tama, Artstar II, solid maple 1 ply shell, 10 lug, 6&1/2x14" snare shell. mid 2000's Tama, double tom holder. mid 2000's Tama, single tom holder. 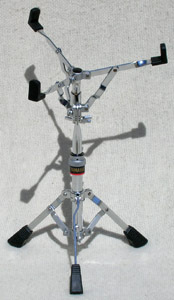 mid 2000's Tama, multi clamp. 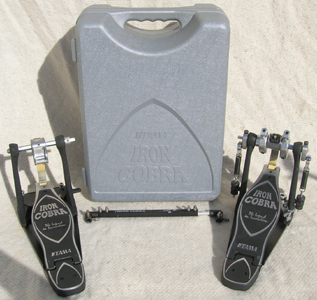 late 2000's Tama, Iron Cobra, Flexi Glide, double bass drum pedal. 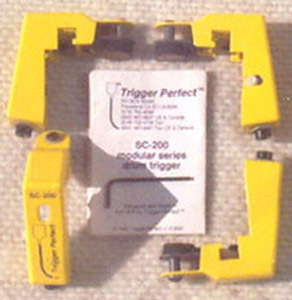 early 1990's Trigger Perfect, tom/snare triggers. 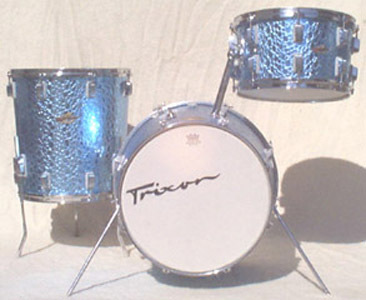 late 1960's Trixon, Telstar, blue croco, maple shells, 10x14",16x16",14x20",5&1/2x14" set. 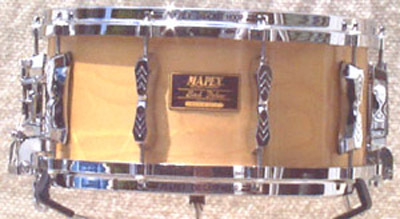 late 1960's Trixon, yellow sparkle, maple shell, 8 lug, parallel, 5x14" snare. 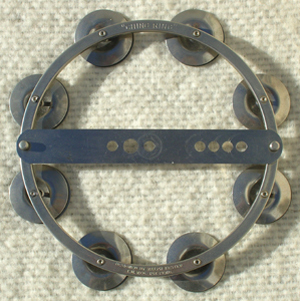 mid 1930's Walberg & Auge, bass drum spur. 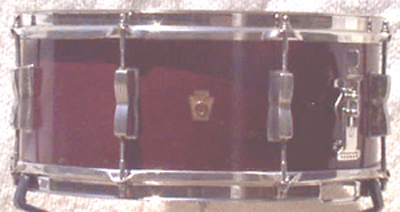 early 1940's Walberg & Auge, bass drum spur. 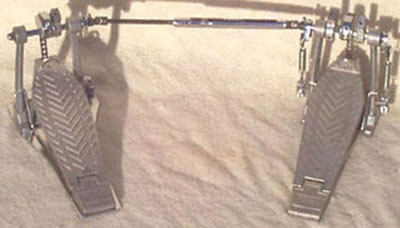 early 1980's Yamaha, bass drum pedal. 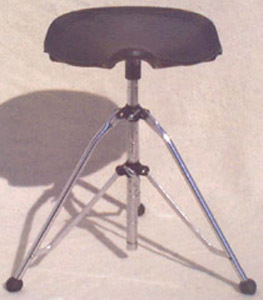 early 1980's Yamaha, hi-hat stand. 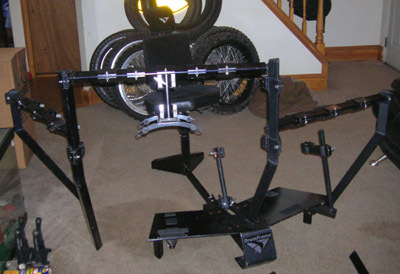 early 1980's Yamaha, double braced stand base. 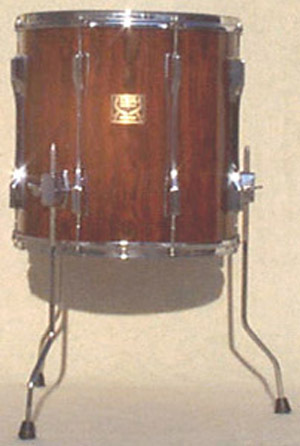 late 1980's Yamaha, snare stand. 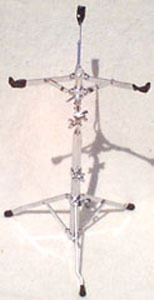 late 1980's Yamaha, cymbal stand. 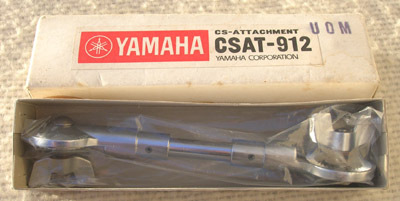 late 1980's Yamaha, CSAT-912, cymbal attachment. late 1980's Yamaha, tom arm. 1990 Yamaha, SD-493, brass shell, 10 lug, 3&1/4x14" snare. 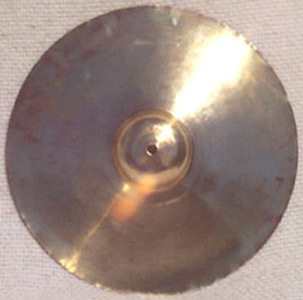 1930's Zilco, 10" thin splash cymbal. 1960's Zilco/Azco, 14" medium hi-hat cymbals. 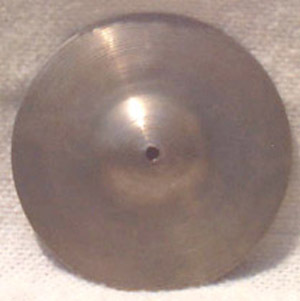 1940's Zildjian, A, 12" thin hi-hat cymbals. 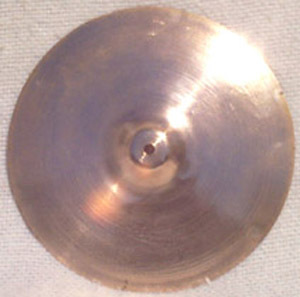 1950's Zildjian, A, 9" thin splash cymbal. 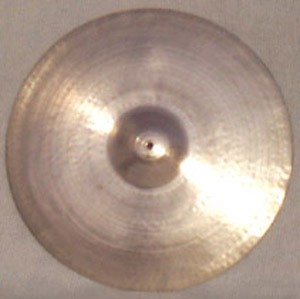 1950's Zildjian, A, 10" thin splash cymbal. 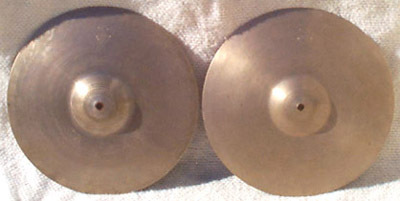 1950's Zildjian, A, 15" medium hi-hat cymbals. 1950's Zildjian, A, 18" crash/ride cymbal. 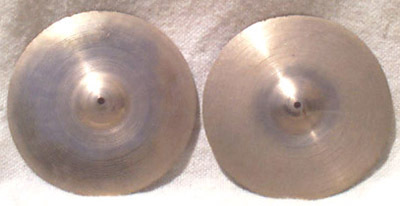 1960's Zildjian, A, 13" medium hi-hat cymbals. 1960's Zildjian, A, 20" light ride cymbal. 1970's Zildjian, A, 24" medium ride cymbal. 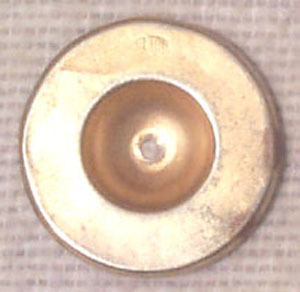 late 1970's Zildjian, gold, cymbal snap. 1980's Zildjian, A, Rock, 17" crash cymbal. 1980's Zildjian, A, Platinum, 20" medium ride cymbal. 1980's Zildjian, ZMC 10, cymbal microphone system. 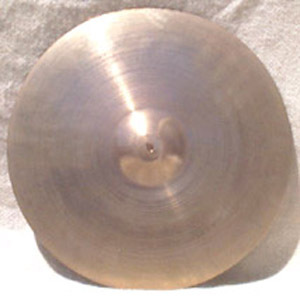 1990's Zildjian, A, 17" medium thin crash cymbal. 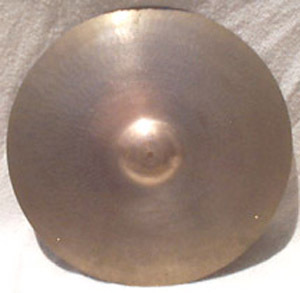 1990's Zildjian, K, 16" medium thin dark crash cymbal. 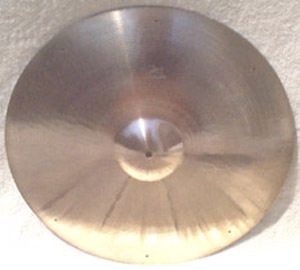 1990's Zildjian, K, 15" thin dark crash cymbal. 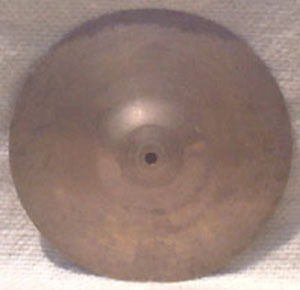 1990's Zildjian, K, 14" mini-china cymbal. 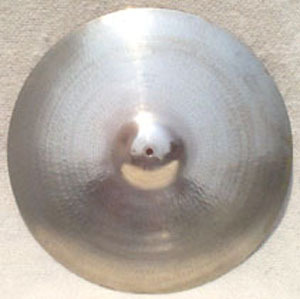 2000's Zildjian, A, 8" splash cymbal. 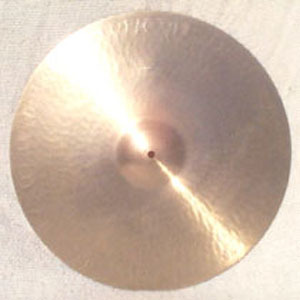 2000's Zildjian, A, High, 18" china cymbal. 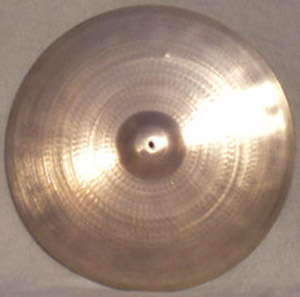 2000's Zildjian, A, 20" medium ride cymbal. 2000's Zildjian, K Custom, Session, 20" ride cymbal. 2000's Zildjian, Z Custom, Power, 22" ride cymbal. 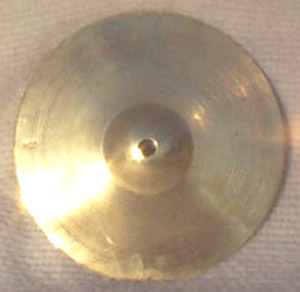 1960's Zyn, 10" thin splash cymbal.